In communication networks, security is traditionally divided into three categories: integrity, confidentiality and availability. Potentially, optical code-division multiple-access (OCDMA) system may provide both confidentiality and availability protection. Therefore, OCDMA has been seen as a superior candidate to offer confidentiality. 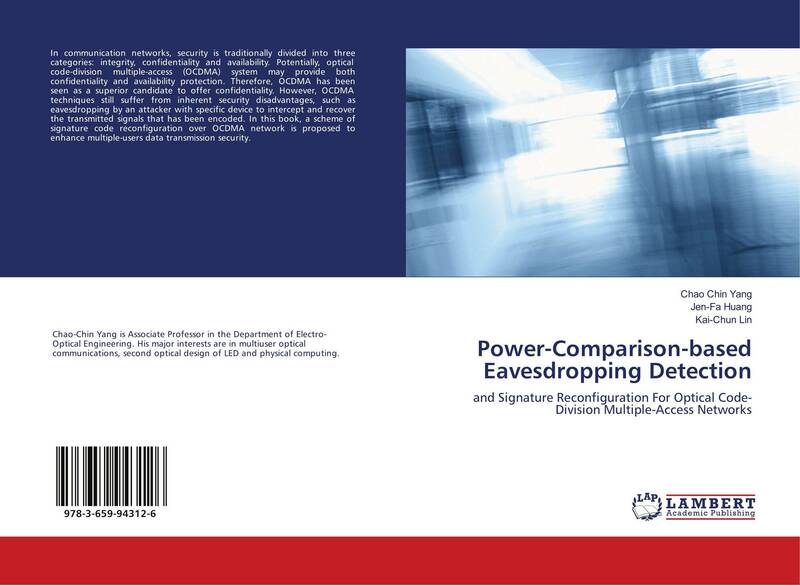 However, OCDMA techniques still suffer from inherent security disadvantages, such as eavesdropping by an attacker with specific device to intercept and recover the transmitted signals that has been encoded. In this book, a scheme of signature code reconfiguration over OCDMA network is proposed to enhance multiple-users data transmission security.